Net SE, the German company that is behind recent crowdfunded projects like the Meyer Optic Gorlitz lens and the Ihagee Elbaflex film SLR, has filed for bankruptcy. The move comes after its CEO, Stefan Immes, was apparently seriously injured in a car accident. The company had previously applied for delisting from the German stock exchange, which was effective on 2 July, according to Photorumours. The firm is behind a number of crowdfunded Kickstarter photography projects, including the Citograph 35mm hyperfocal lens, Biotar 35mm lenses, the Plasmat 105mm lens and the Citograph 58/2 lens. Net SE owns a number of brands, including Meyer Optik Gorlitz, Emil Busch A-G Rathenau, Oprema Jena, CP Goerz, Ihagee Elbaflex and A Schacht. The company released a press statement which has been included on its Kickstarter pages. We have a rather sad message for you today. A few weeks ago, our main investor Stefan Immes and CEO of Net SE had a serious traffic accident, which he barely survived. Although we have been able to talk to him and although, for a very short time of the day he has become the astute, humorous and positive entrepreneur we know, it is now clear that due to the severity of the injuries he will not be able to continue running the company in the foreseeable future. For a team as small as ours / For a company of 15 employees only, this entails a large number of changes. Currently, we are in the process of reorganization and are trying to establish a working system as no successor regulation can yet be found for the Net SE Group. For this reason, we are currently undergoing a restructuring process with an as yet unknown outcome for the individual divisions, such as CP Görz. Especially as far as Crowdfunding is concerned, we think that we will need until the end of October to be able to share our conclusions on how to proceed. One of the top priorities of our Crowdfunding team is, of course, to deliver the orders we receive as promised. However, we ask for your understanding that, for legal reasons alone, we cannot make any faster decisions without having reorganized the company. For technical questions, our support team is of course still available, but we can only make limited forecasts about the development progress of our projects. We are honestly touched and the shock still sits deep. We are also extremely sorry that we are not able to spread better and more positive news at the moment, but we are working very hard to change this at short notice. 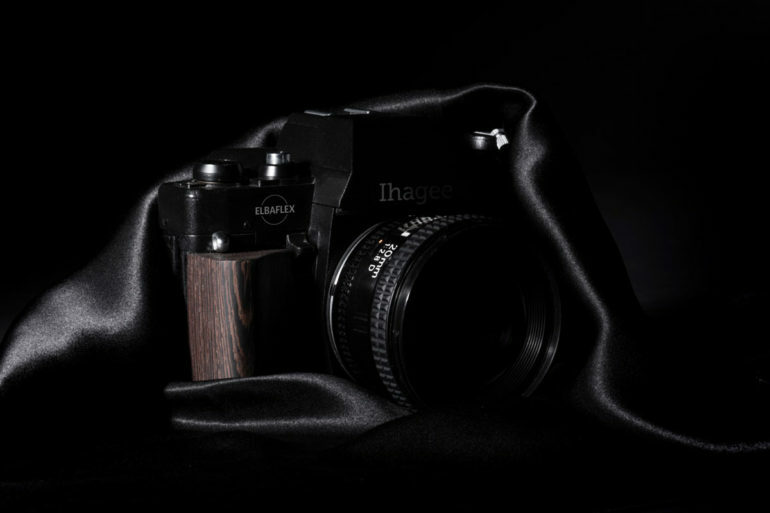 As Kosmo Foto has previously reported, the Ihagee Elbaflex camera which was announced in November 2017 was in fact a re-engineered Soviet-era Kiev 19M camera. The project raised nearly $30,000 on Kickstarter but was not successfully funded.